It's hard to believe that 2014 is coming to a close. This year had some great moments - in blogging and in real life. It was great to spend it with you and share nail successes and fails. Some of you I have been able to meet in real life and it was a moment I will cherish. I'm going to share my favorite four nail art looks for the year in a bit. But first I want to share a few highlights from the year. One of the top items for the year is the fact that I drastically improved my photos. Some of you may remember how warm and orange they were in the past. That is behind me now thanks to some help from some friends who let me bug the heck out of them and ask for days on end "how about now?" Thank you Sheila and Ashley for the patience and help. That is also the reason I am only picking four nail art looks from the year. I simply can't bear to look, or share, those "orange" photos again. 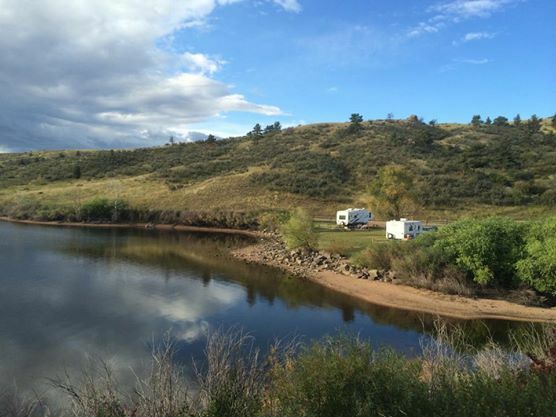 Another huge highlight of the year was being able to meet some fellow bloggers and indie makers and share a campsite at a Wyoming campground. It was a great time despite the weather and I have some wonderful memories from the excursion. 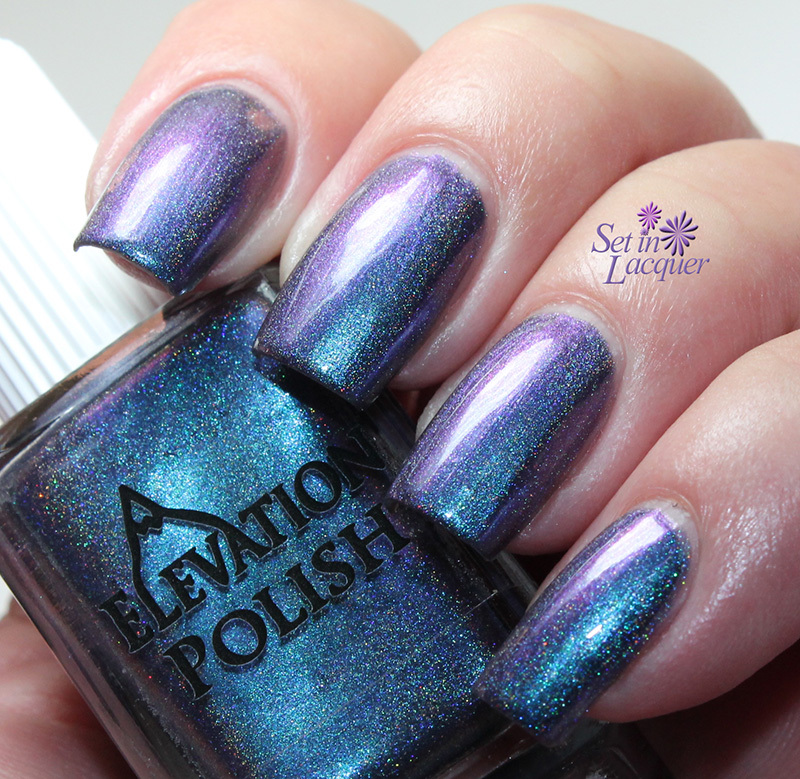 It warmed my heart to know that the camping trip inspired a phenomenal polish from Elevation Polish and that it was created by a very talented lady. This polish is my most cherished polish as it was inspired by that very trip. Well, that and it is my dream polish. Take a look at this amazing polish. It it amazing. I can't put it on any "top" lists though because it isn't available to the general public. A few of you were lucky enough to win it though! It was inspired by this memorable trip. Another thing from this year is that the Set in Lacquer household welcomed a new member to its family. Cricket joined us and is keeping the entire household hopping. 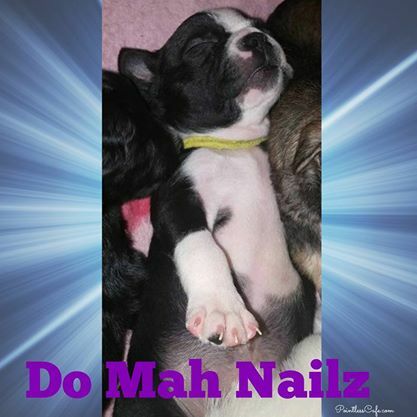 Then most recently, I joined the Digit-al Dozen - The Digit-al Dozen is a small group of diverse nail art bloggers that post nail art inspired by a new monthly theme for five days in a row. You can find us blogging away the second week of each month. I hope I can keep up with these talented ladies! It's quite an honor to be accepted into this group - it's also quite intimidating! Now for my four favorite nail art looks from 2014. 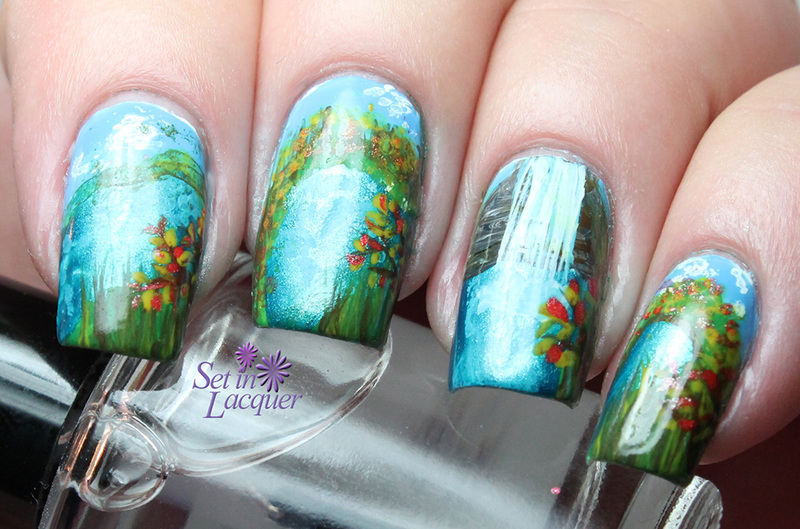 My positive favorite is this landscape mani. Second: is this plaid nail art. I'm not sure why, but I love this look. Third: I love this turquoise look. Fourth: This feathered nail art look using real feathers. I look forward to 2015 and the memories that will be made. What were your highlights from 2014? I am so excited about Zoya's new collection - Naturel Satins. These soft satins are going to be amazing. 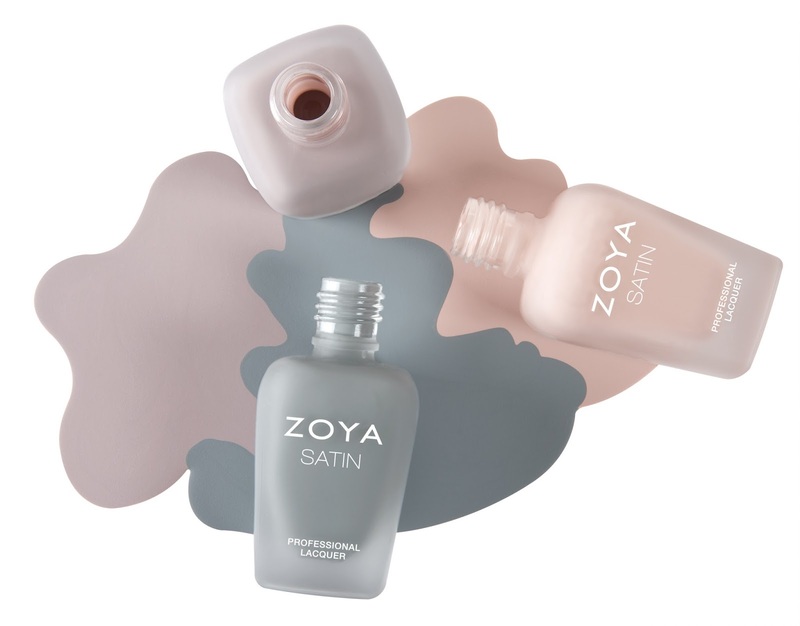 Zoya Naturel Satins are the next generation of Zoya. The Naturel Satins Collection is almost here! Introducing, Zoya Naturel Satins, a collection of six new, neutral nail polish colors in an ultra-wearable, low-sheen, chic satin finish. A hybrid between matte and glossy polishes, the new Zoya Satin formula provides opaque coverage and is longer lasting than traditional matte shades. The flawlessly smooth finish hides imperfections and creates a luxurious, satin finish nail look. Leah: Lavender tinged taupe, exclusive Zoya Satin finish. Rowan: Creamy suede taupe, exclusive Zoya Satin finish. Sage: Mossy sage green, exclusive Zoya Satin finish. 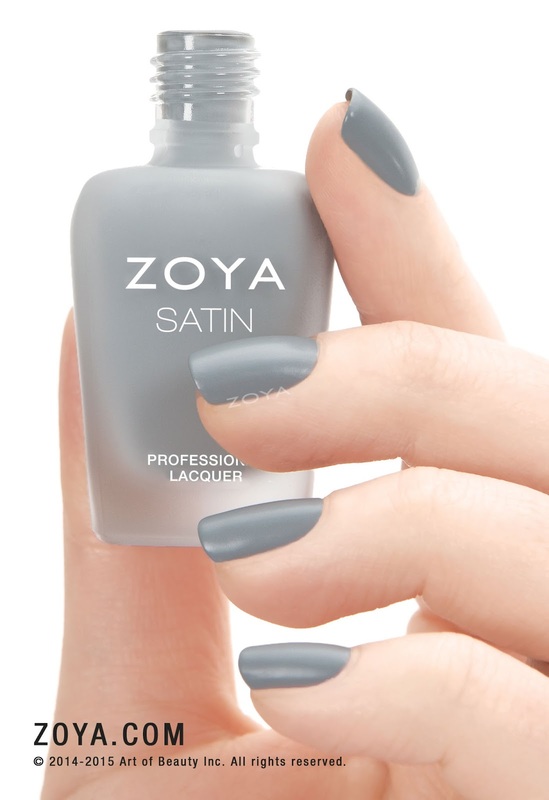 Tove: Misty slate grey, exclusive Zoya Satin finish. Brittany: Rose mauve cream, exclusive Zoya Satin finish. Ana: Light toasted almond, exclusive Zoya Satin finish. These polishes will be available on Zoya.com on Jan. 15, 2015. I started off with a base color of Fancy Gloss Dark Chocolate. 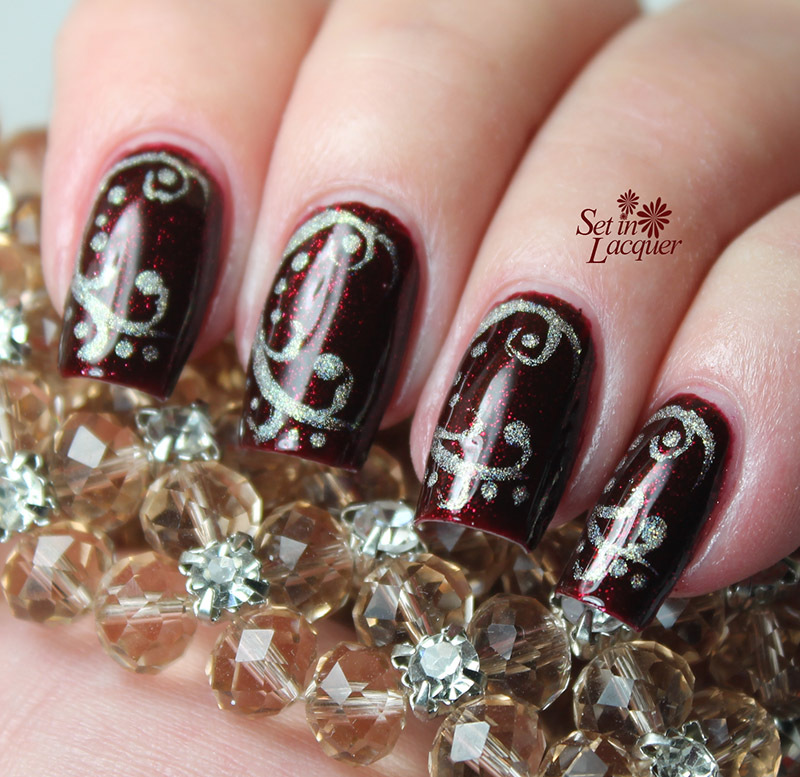 (You can see the initial review of Dark Chocolate and some more creme Fancy Gloss polishes here.) Dark Chocolate is a gorgeous dark chocolatey brown that dries to a high gloss shine. Then I used acrylic paints to create the daisies. I used a very pale green, white, orange and brown paint. I started by making a dot of orange everywhere I wanted the center of a daisy to be and then I created the petals with the light green. I applied a thin stripe of white to each petal. Then using a dotting tool with both orange and brown on it, I created the center of each daisy. Actually very simple, but time consuming. The brown complements the daisies very well I think. It's perfect for a winter floral mani. Fancy Gloss Dark Chocolate was provided to me for an honest review. All opinions are my own. Please note that computer monitors may display colors differently. Today's post is packed full of flakies. Not your everyday flakies either - these are monster flakies! Darling Diva has released the Monster Crush Collection. This collection is typical of the extraordinary quality of polishes I have come to expect from Darling Diva. This is a two-part collection. This is Part One of Monster Crush. These polishes are opaque in three coats - or you could wear them over another color if you desire. They are slightly thick polishes because of the flakes. But to me, it just made it easier to get a nice layer of flakes on my nail. Not too thick to work with, but I wanted to mention it. The amount of flakies and holographic goodness in these polishes is amazing. The shimmer, shine and shift are monster-sized. These polishes are all shown below with three coats and a top coat of Darling Diva Pryzmatic PETC. Ramagos is a gold to green to blue shifting flakie with iridescent glitter and a healthy dose of holographic shimmer. It does have a slight linear shimmer to it. Lucasha is a gold to rose to purple shifting flakie with iridescent glitter and a healthy dose of holographic shimmer. The purple seems to be the predominant shift. This is my favorite of the collection. It does have a slight linear shimmer to it. Cahule is a green to gold to rose shifting flakie with iridescent glitter and a lot of holographic shimmer. It does have a slight linear shimmer to it. The addition of holo just seems to make this polish glow. 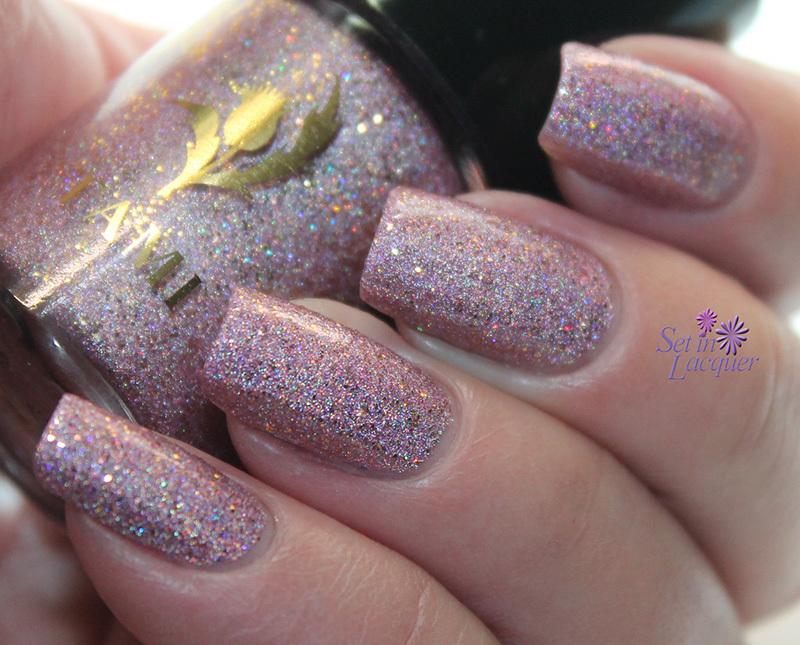 Ursha is a copper to gold to silver shifting flakie with iridescent glitter with amazing holographic shimmer. It does have a slight linear shimmer to it. I love these flakie polishes. One important note: do not shake these polishes. The flakies are pretty fragile in the bottle. A simple roll of the polish bottle should be all that is needed. Which ones will you be adding to your collection? Follow Darling Diva Polish on Facebook and Instagram. You can purchase these gorgeous polishes from the Darling Diva Polish BigCartel store for $12 each. This polish was sent to me for an honest review. All opinions are my own. Please note that computer monitors can display colors differently. Every year I get the winter blues. It usually doesn't come until February though. This year, I am already tired of the snow, ice, wind and bitter cold temps. So I tried to counter-act that feeling by putting something floral on my nails. I have been trying not to create as many floral manis. But they are my "go to" nail art. 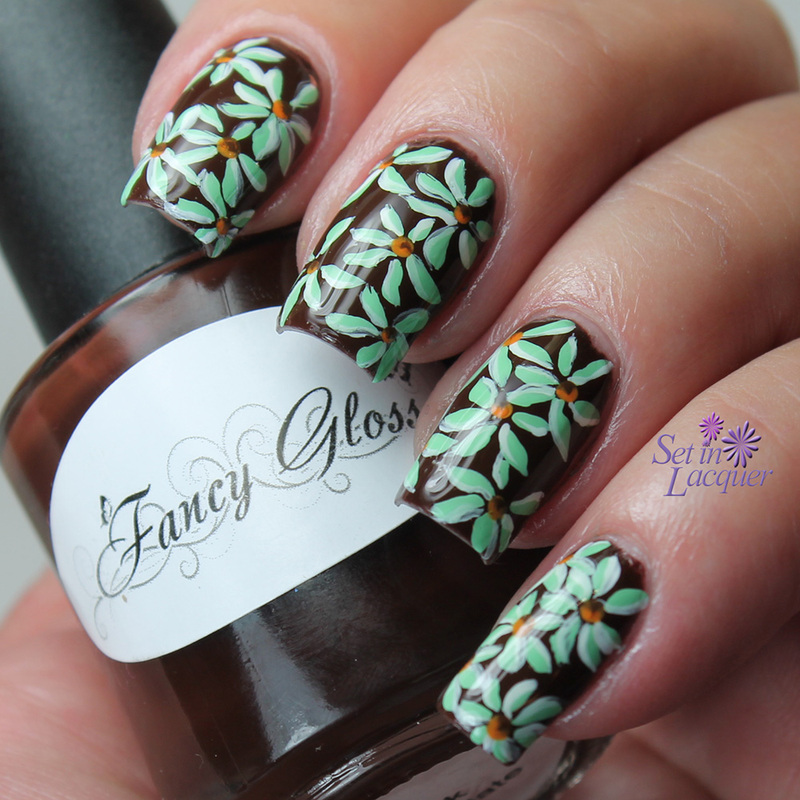 I love floral nail art. Which is rather strange, because in day-to-day life, I don't lean toward anything floral - unless it's real flowers of course. I have been watching some videos on YouTube that show some great acrylic paint techniques. So I thought I would try one. The techniques look great and look easy to follow - until you try to scale them down to a fingernail sized canvas. So I adapted and eventually just "winged it." 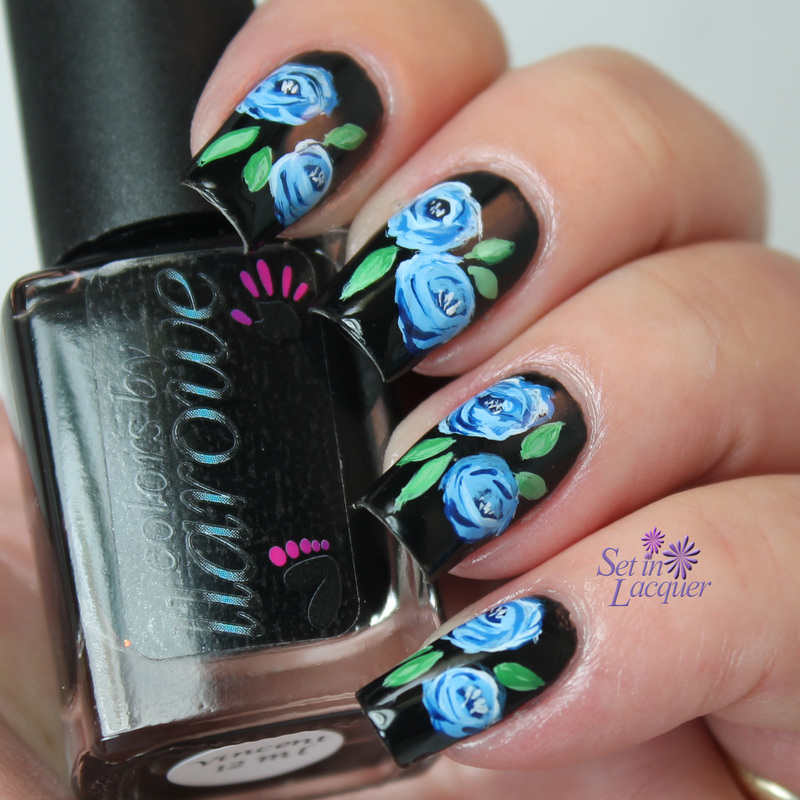 You can find the video that inspired these roses here. I started off with a black polish. Colors by llarowe "Vincent" has become my "go to" black polish. I really need this in a large bottle. It applies smoothly and quickly dries to a high gloss shine. Once it dried, I applied a coat of HK Girl. I always add a good top coat before I apply acrylic paint. It makes it easy to "erase" if I make a mistake. 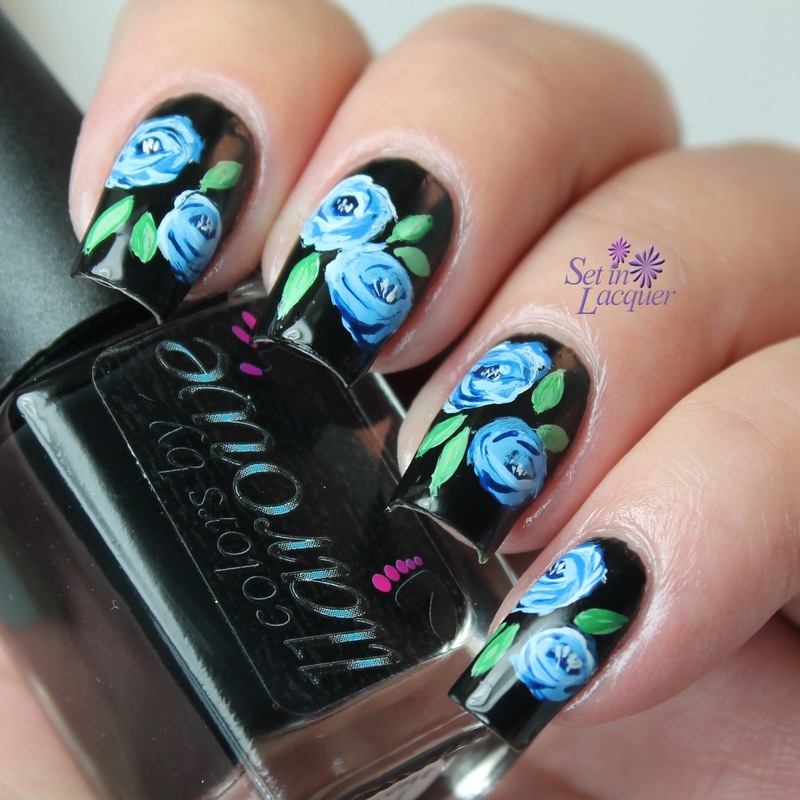 These blue roses weren't too terribly difficult to create. 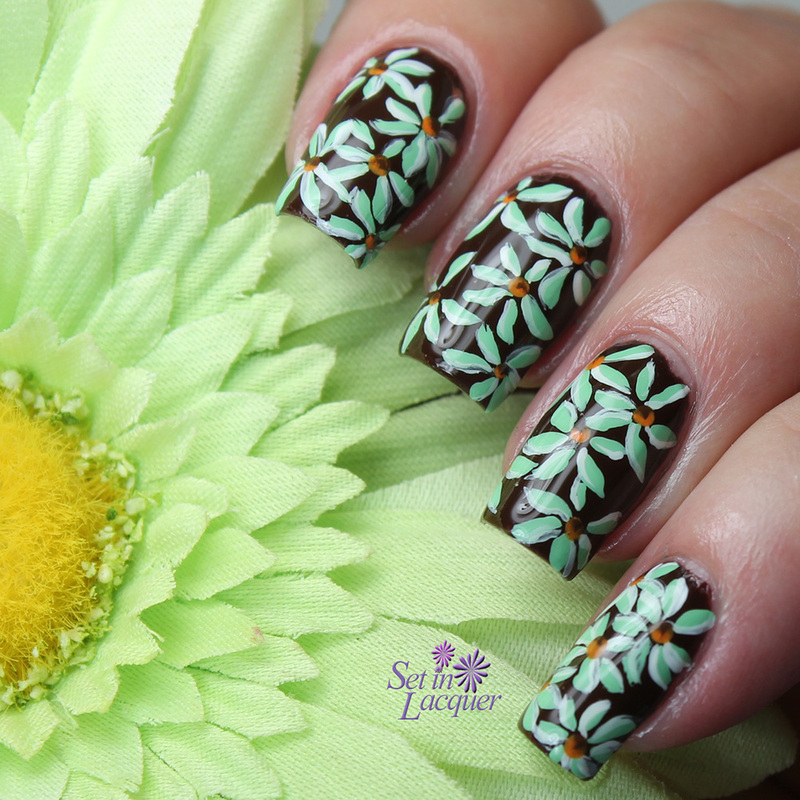 The great thing about floral nail art is that it is very forgiving. I used varying shades of blue acrylic paint for the roses and green acrylic paint for the leaves. Overall, I am pleased with how they turned out. I applied another coat of HK Girl to seal in the design. This polish was sent to me for an honest review. All opinions are my own. 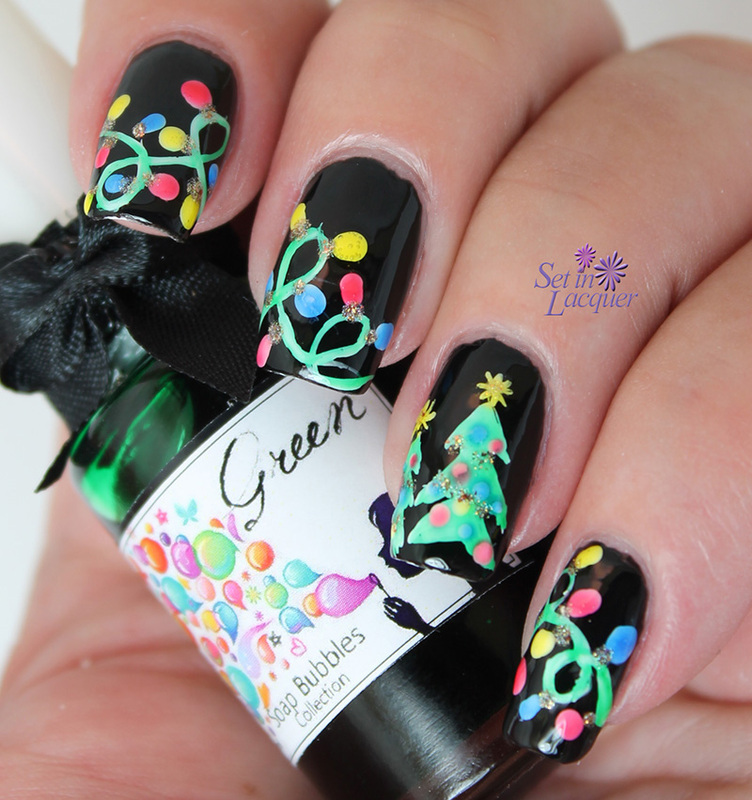 My last post before the holidays is some fun and bright holiday tree nail art. I love nail art and I recently purchased the Esmaltes Da Kelly Soap Bubbles collection. This collection has fun, bright, sheer jelly polishes. They are so much fun to use in nail art. I started off with a base color of Colors by Llarowe Vincent. A deep and pure black polish that applies creamy and dries to a high gloss shine. I seriously need a gallon of this polish. Then I used white polish to create the tree and lights. Once it was fully dry I applied the Soap Bubbles polishes over the white. You don't have to be exact when you use these polishes. The black polish hides any imperfections. I added a gold glitter for the base of the light bulbs. After my nails were fully dry, I applied a top coat of HK Girl and I had instant and festive nail art. Have you used sheer polishes for nail art? How did you use them? The Esmaltes Da Kelly polishes were purchased by me. CbL Vincent was previously sent to me for an honest review. All opinions are my own. Please note that computer monitors can display colors differently. I am so excited to be sharing a polish from Scotland with you today. This gorgeous polish from Tami Nail Polish is called Gleneagles Glamour. Tami Nail Polish is a Scottish nail polish brand. It is custom made by Tami Beauty. This is the second polish I have tried from Tami Nail Polish. And I must say it didn't disappoint me. The color, holographic shine, micro-glitters and formula are amazing on this polish. Gleneagles Glamour is inspired by Gleneagles Resort. Gleneagles is a luxury estate/resort In Perthshire Scotland and since the early 1900s has been a place where glitz and glamour of the hotel mix with traditional Scottish activities like golf, horse riding and fishing. If you ever visit Gleneagles I'm sure you're bound to see a celebrity or two around. 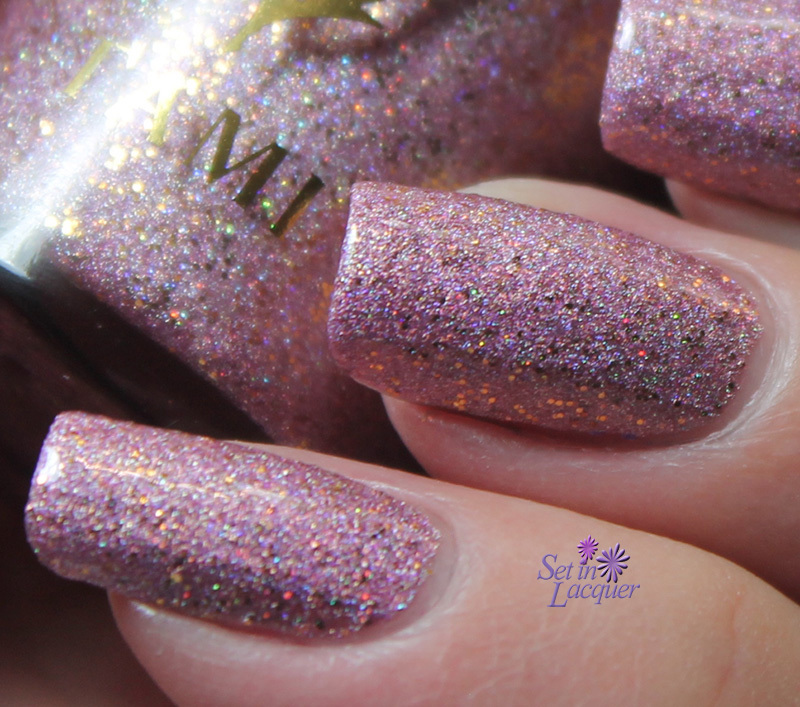 Gleneagles Glamour is an amazing holographic pale shade of pink with gold micro-glitter. It applied flawlessly. I used two coats and a top coat for these swatches.It is a thirsty polish and you may find you want an additional coat of top coat. I am going to have to purchase some of their other shades. The formula is great and the shine and shimmer are amazing. All of the Tami Nail Polishes are proudly made in Scotland by the experts at Tami Beauty and then are produced by the same experts and in the same factory as the Leighton Denny range of polishes. They are free of Dibutyl Phthalate (DBP), Toluene and Formaldehyde and are also cruelty-free. They ship worldwide at £4 per order. This polish was sent to me for an honest review. All opinions are my own. Please note that computer monitors may display colors differently. 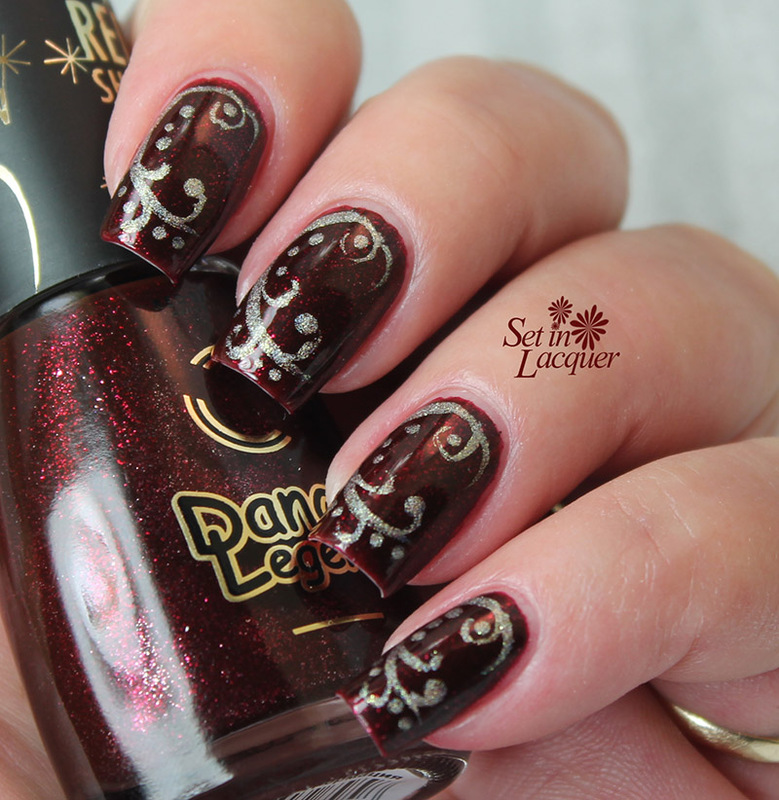 Today's post features KBShimmer's version of Pantone's prediction for the 2015 color of the year - Marsala. "Men are from Mars-ala" is an earthy, red-brown holographic shade that will make a fresh new addition to any neutral nail palette. Worn outdoors or in bright light, Men are from Mars-ala features a linear holographic and when indoors, this shade is rich and warm – just like a glass of Marsala wine should be! The polish applies easily and dries to a high-gloss and holographic finish. I used two coats with a top coat for the swatches below. This shade is gorgeous in indoor lighting as well as in sunlight. There hasn't been sunlight here in quite a while though, so I couldn't grab any sunlight swatches. 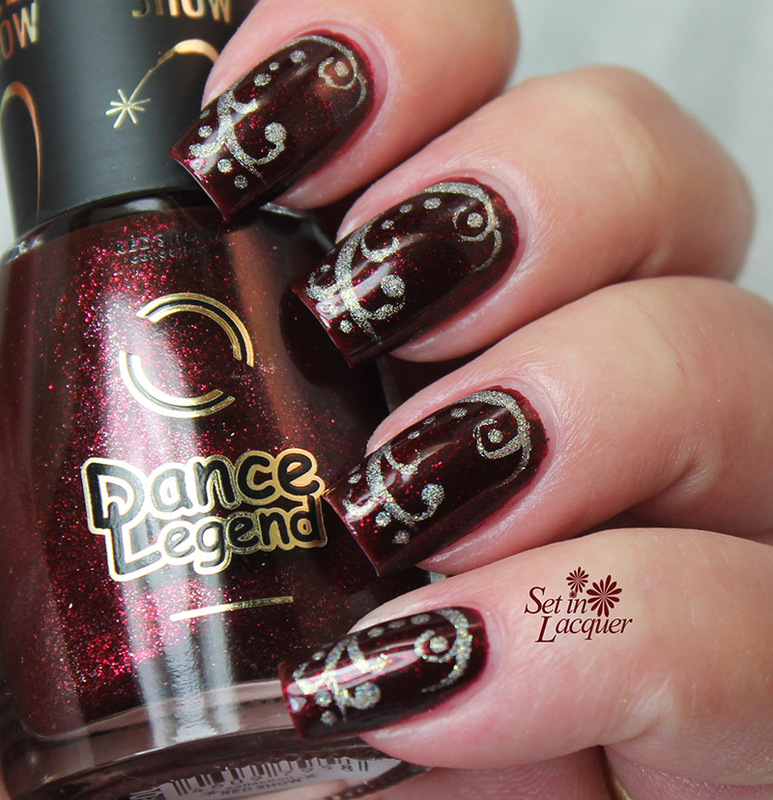 This stunning polish will be available January 1, 2015 for $8.75 at http://www.KBShimmer.com. For sales outside of the US visit http://www.HarlowandCo.org. Follow KBShimmer on facebook | twitter | instagram to keep up to date with new collections and specials. 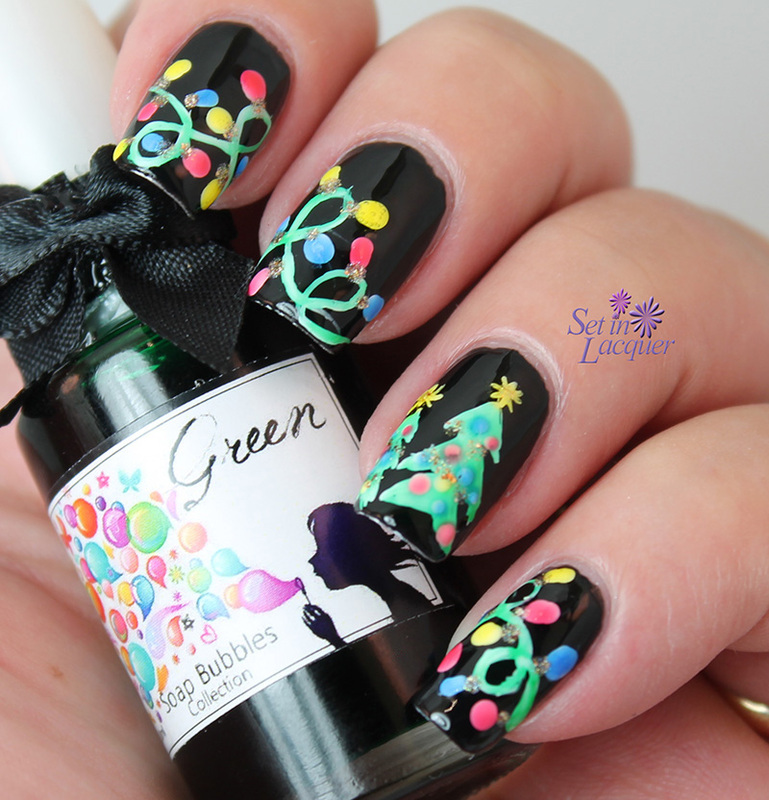 KBShimmer was founded in 2008 by the husband and wife team, Jason and Christy Rose. KBShimmer offers unique and colorful nail glitter nail polishes that are Big 3 Free, with all glitter formulas being completely free of chemicals such as toluene, formaldehyde, formaldehyde resin and dibutyl phthalate (DBP). KBShimmer glitter polishes feature a flat glitter-grabbing brush for easy application. KBShimmer also offers a 2-free quick dry polish topcoat, olive oil lotion, sugar scrubs, lip balms, cold process soaps, and other skin care products. Today's post can be for the holidays - or any time. Who doesn't love gold over a deep red shimmery polish? Like most of my random free hand nail designs, I didn't really have a design in mind when I started. I just let the brush run rampant. 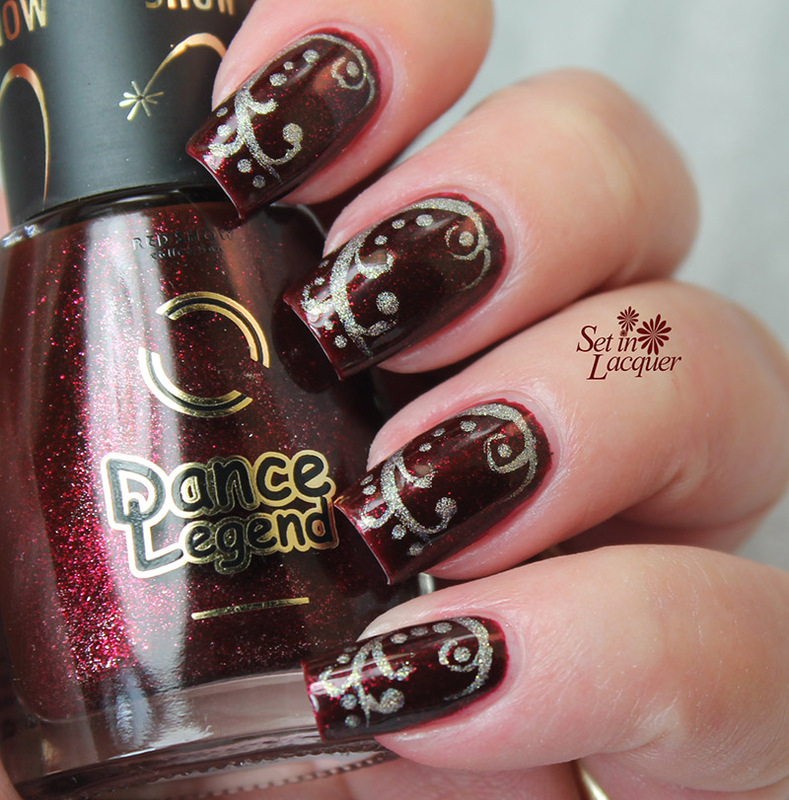 I used Dance Legend Red Show #06 for the base color. This deep red is vampy and has tons of "lit from within" shimmer. 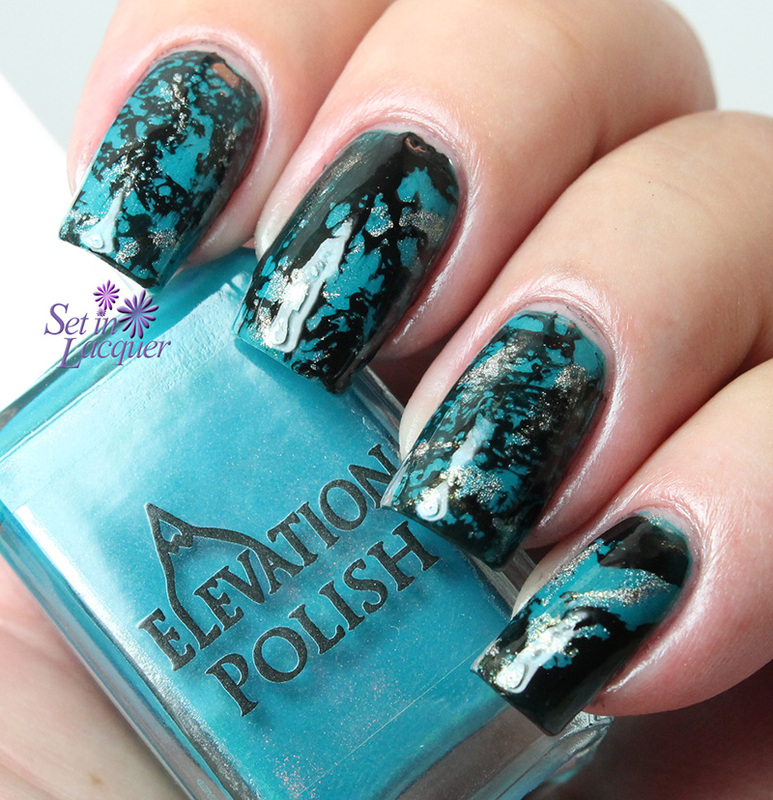 The design was completed using Elevation Polish Tre Cime di Lavaredo, which is a gorgeous gold holographic polish. I topped it off with a coat of HK Girl. I like how this design turned out. It's definitely random and frilly. What do you think? The two colors definitely complement each other. These polishes were purchased by me.